Each Desire/Spell is $14.99 - Purchase as many as you need! OVER 25 YEARS EXPERIENCE IN SPELL CASTING. WHITE LIGHTWORKERS WILL CAST YOUR DESIRES TO THE UNIVERSE! On May 25th, Moondancer Originals Witches will be at your service. WHY? Our economy and our situation right now hold the answer to that. We are feeling called to make our intentions known to the Universe. It's time to ask for help. This period in history is our time of awakening. We have previously, successfully, had a few intention casting full moon evenings offered. We have been busy working with other clients and spirits lately and have not done one for a while, but we decided today to offer on for the next full moon in May! 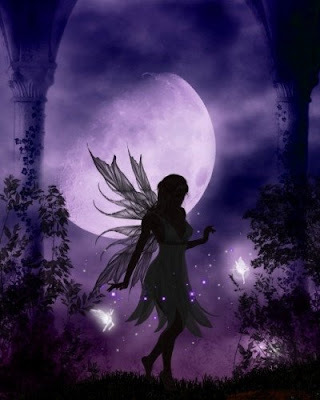 This is your chance to "Buy Your Place Now" to have your desires represented on the next full moon, May 25th, 2013, to the Universe by highly experienced, high powered witches, all working together to send vibrations and ask for your wishes to be granted, to the Universe. WHEN YOU PURCHASE, YOU WILL BE SENT A QUESTIONNAIRE TO FILL OUT. WE WILL THEN GO OVER YOUR INTENTIONS VIA EMAIL, AND DISCUSS WHAT YOU WHAT THE UNIVERSE TO KNOW AND HELP YOU WITH. All walks and religions of our world recognize the moon as the power vessel that it is. It is a POWERHOUSE of potential energies. We just need to get those energies working for us more successfully. For years we have been spell casting on the full moon, but it has just occurred to us that we could also help you by using our powers to spell cast your desires to the Universe! WHY NOT! Other Reasons That You NEED To Know! -The sun has the symbolic significance as the male yang. The moon has the significance of the female yin! -The moon rules the zodiac sign of Cancer....interestingly enough that sign is associated with intuitive thoughts and emotions! receptivity, femininity, intuition, illumination, psyche, passivity, influence, cycles, time, fertility, transition, emotion, perception, progression, mystery, wonder, shadow, balance, renewal. Moon symbolisms are derived from myth, lore and culture and lunar associations tied with deities and cyclical events in human collective consciousness and higher realm of understanding. The moon is associated with such symbolic figures such as…. ·Artemis:Greek hunter goddess whose personality highlights include chastity, protection, avengement, and childbirth. ·Diana:Also a huntress archetype, and woodland goddess of the Romans; she is protector of women and animals. ·Hecate:Adopted Greek goddess of the night specializing in birth, cycles, purification, crossroads and second (otherworldly) sight. ·Thoth: Egyptian god (note male attribution) of the moon having connections with magic, wisdom, writing, and hidden meanings (associated with Hermes in Greek myth, who interestingly, like Hecate is a figurehead of crossroads too). ·Virgin Mary:Christian symbolism features her with the new moon where she resonates with the concepts of purity, peace, illumination, and perfection. ·Kuan Yin:Chinese goddess of purity, grace, kindness, selflessness and benevolence. She is believed to be a matron of childbirth, and is called upon for aid in conception as well as healing. She also protects transitioning souls and travelers. We gain more symbolic moon facts from Tarot. The lunar energies can be represented in the moon card of Major Arcana. The phases of the moon serve as another glimpse into the meanings and higher information from the Universe. We often look over what the Universe is trying to show us. ·Waning Moon:Symbolic of letting go, surrender, release, quiet time, contemplation, and a time of incubation. ·Waxing Moon:Symbolic of growth, manifestation, attainment, gravidity (heavy with child – both philosophical and literal). ·Full Moon:Symbolic of the height of power, the peak of clarity, fullness and obtainment of desire. Have you noticed the strange events around the world lately? We need to make our presence known to the universe, and what better way than to have some of the most experienced witches customizing and casting spells for your intentions and needs/wants into the higher realm? Nothing is a coincidence. If you think that this will help you....you know what to do. We will never tell you what to do. The spell work we perform can be very complex depending on what your desire is, and it takes us a lot of prep time to make sure that we have everything we need and to communicate with you enough beforehand that we have a clear understanding of who you are as a person so that we can represent you properly. We take our work very seriously. Shipping is showing as FREE on this purchase because you are NOT being shipped anything. This is exclusively for our services this particular evening. We will communicate with you beforehand and send you a questionnaire for you to fill out. so that we have enough time to organize and be completely ready for our casting! We take pride in our work and we are 100% Authentic. some of our best power house magick together to help you be successful. 11:11 means new beginnings, new awakenings and new awareness. We are firm believers in our work. If you were drawn to this page, you are here for a reason. Any questions please feel free to message us.